In J.R.R. Tolkiens Silmarillion, Fëanor was the most powerful elf who ever lived, so powerful that the dark lord Melkor was afraid of his might. Fëanor (“Spirit of Fire” in Sindarian) was one of the Noldor, the elves who lived in Valinor under the light of the two Trees (Laurelin and Telperion) that existed before the Sun and the Moon. He was such a mighty craftsman of jewels that he was able to place the light of the Trees into the three Silmarils, gems of such surpassing beauty that the wars fought over them changed the face of the world forever. 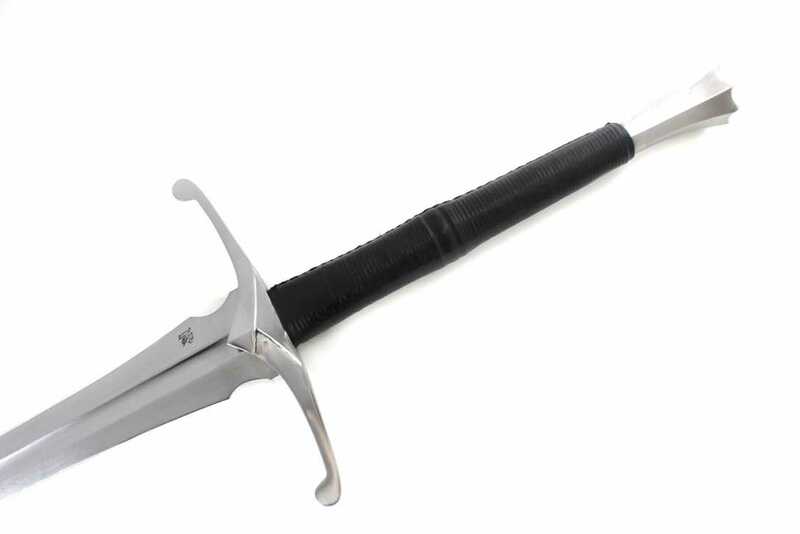 Fëanor also was the first of the elves to forge weapons, and created the first swords that were used by elves to slay their own kin. Because of these deeds much evil entered into the world. 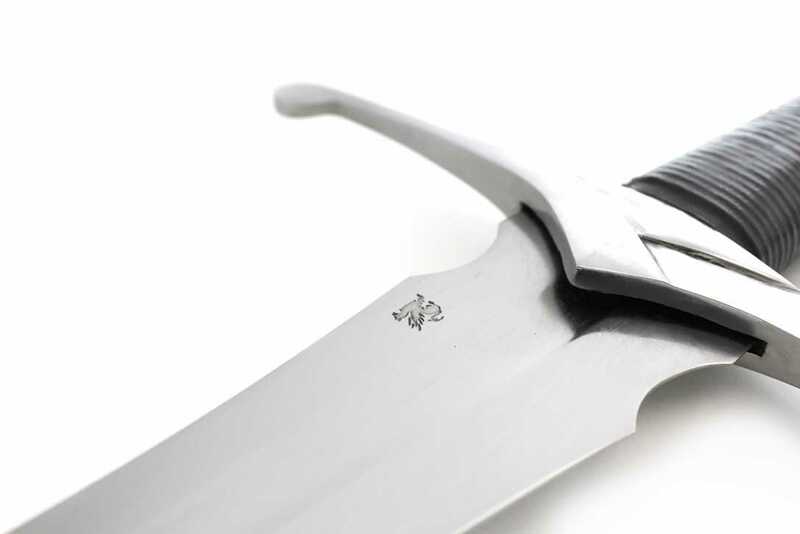 The long fullered blade is well balanced and tapers sharply to a point an evokes a graceful elven feel to it. The genuine leather wrapped mild steel hilt itself is extremely attractive and looks organic, as does the leaf like pommel. 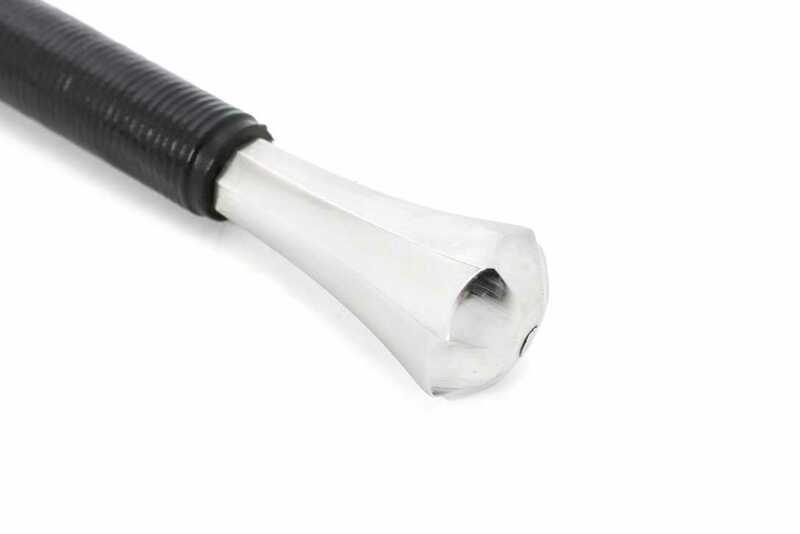 Weighing 2lbs 11"oz its well balanced and powerful, it combines speed with raw power to great effect. 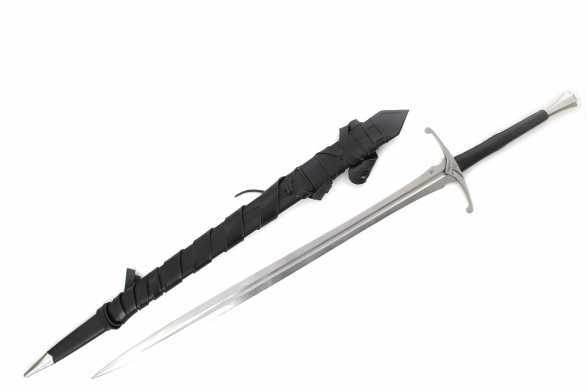 A great choice for fans of LoTR, functional fantasy sword lovers or anyone looking for something REAL but also unique. 5160 Hand Sharpened Spring Steel Blade, Dual Tempered with an edge HRC of 60 and core HRC of 50. Mild Steel Fittings. Wood core leather wrapped handle and scabbard with wearable belt and scabbard suspension system.